Zortam Mp3 Tag Editor is ID3 tag editor and Mp3 Player which uses Zortam database and other music on-line services to automatically download album art, lyrics and other Mp3 meta data and tag them into your Mp3 files. Zortam Mp3 Tag Editor can automatically recognize any Mp3 file using fingerprint technology, so you can tag your Mp3 files even if they do not have any information at all. 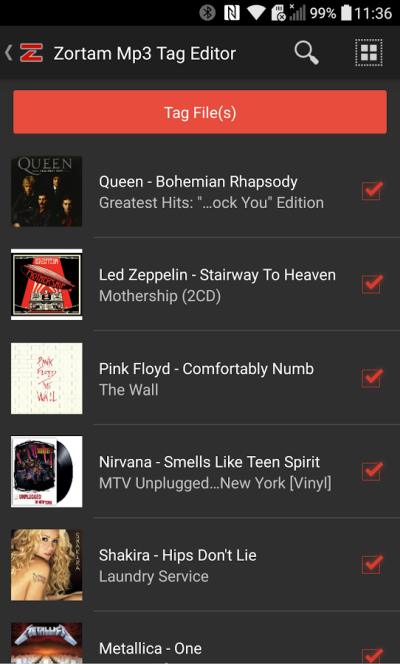 Application also search and inserts lyrics into your Mp3 files, searches and inserts album artwork into your Mp3 files. 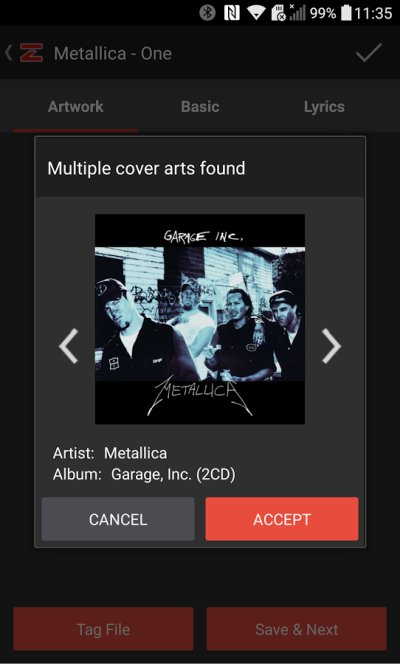 It can remove existing album artwork or remove complete ID3v1 and Id3v2 tags from your files. Application supports batch processing for all tagging operations including adding album artwork and lyrics. You can add or change all your tags in integrated ID3 Tag Editor, select album artwork from Internet, photo gallery or local storage, print lyrics, delete songs and much more. Application has it's own Mp3 Player. 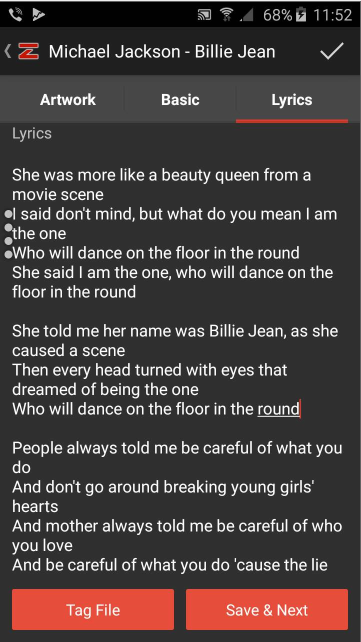 With batch auto tagging options you can add album artworks and lyrics in the minute. All tags are properly updated with other android media music files and there is no difference between real tags in file and android media files. So any other music program can read tags saved by application.